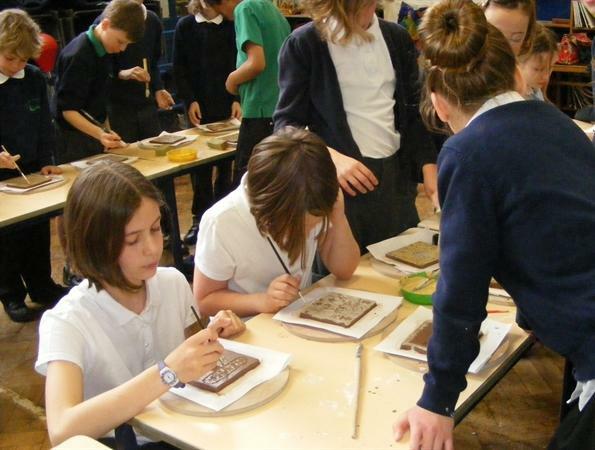 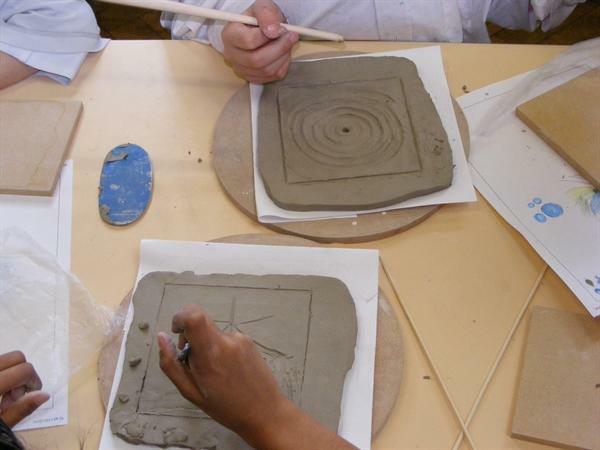 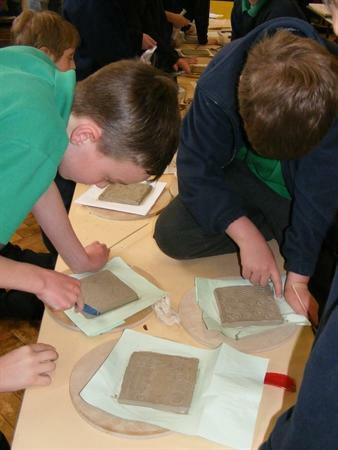 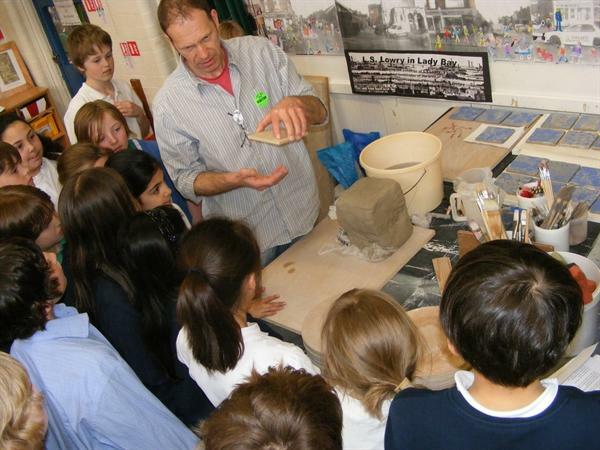 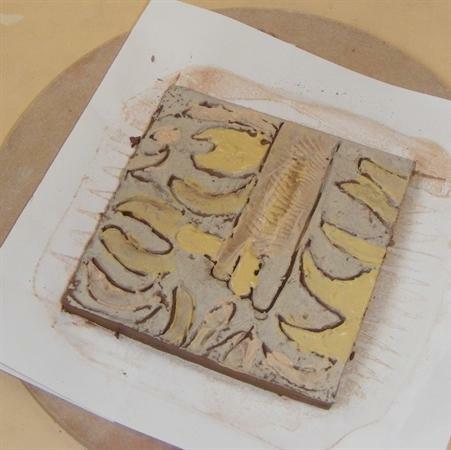 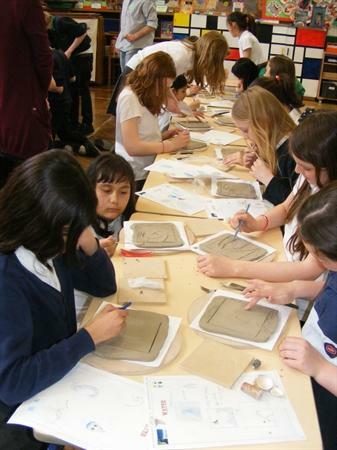 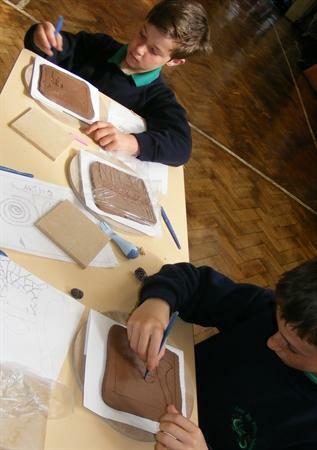 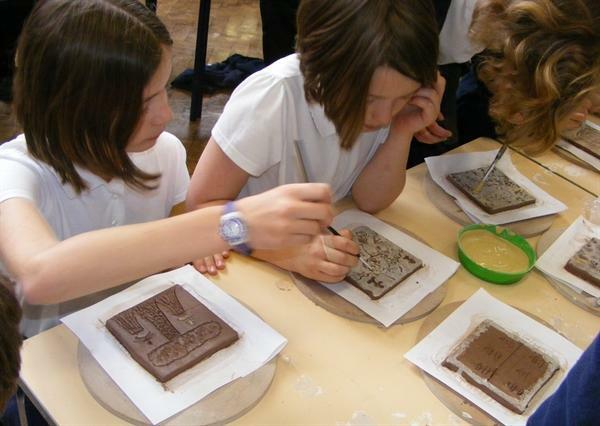 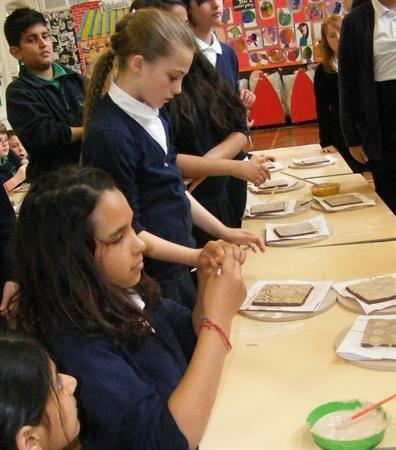 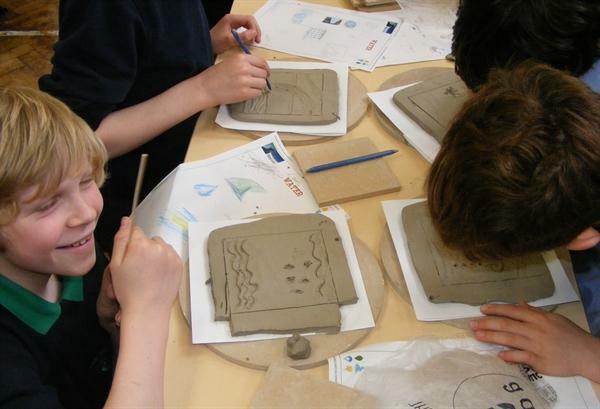 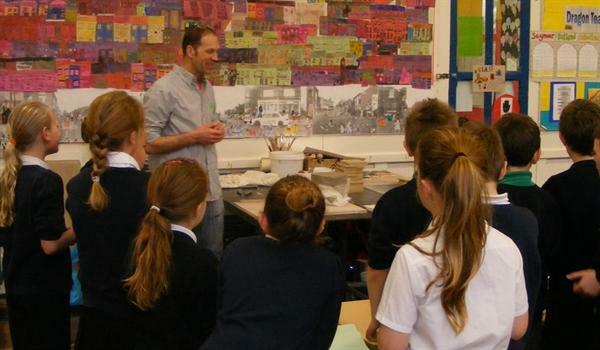 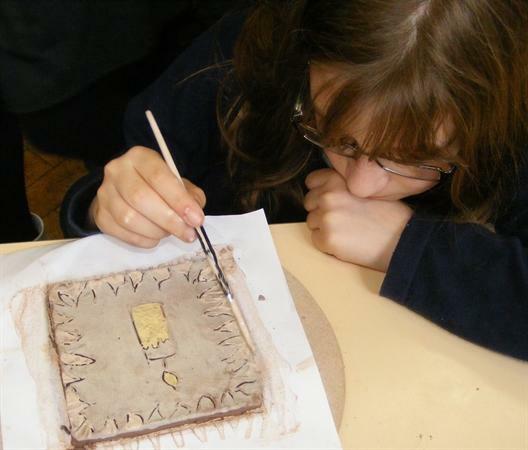 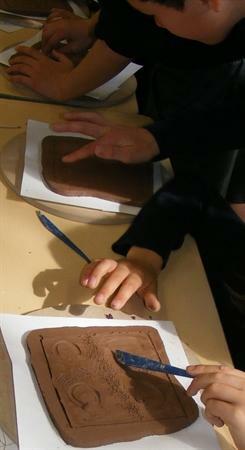 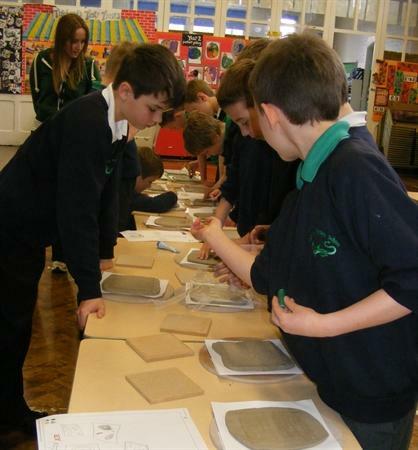 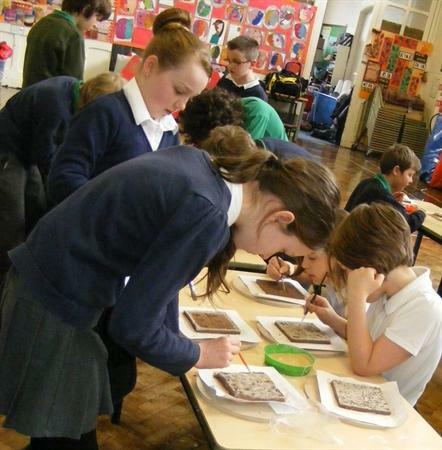 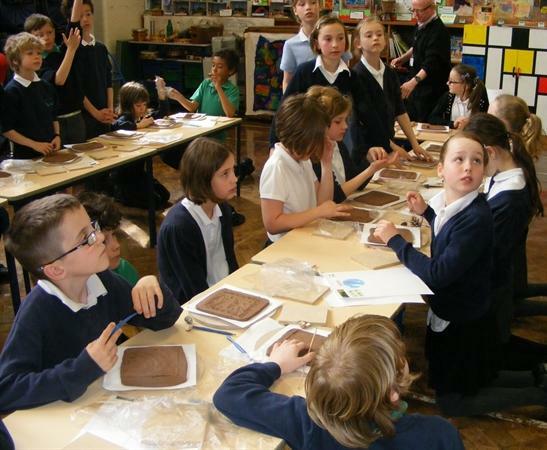 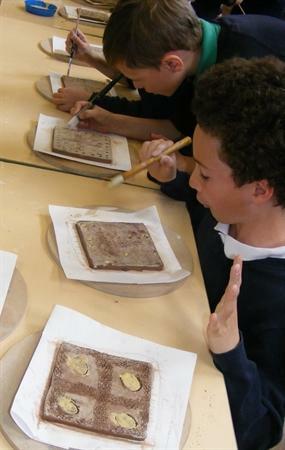 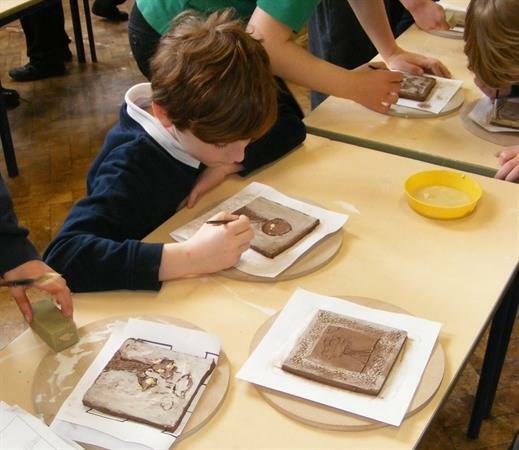 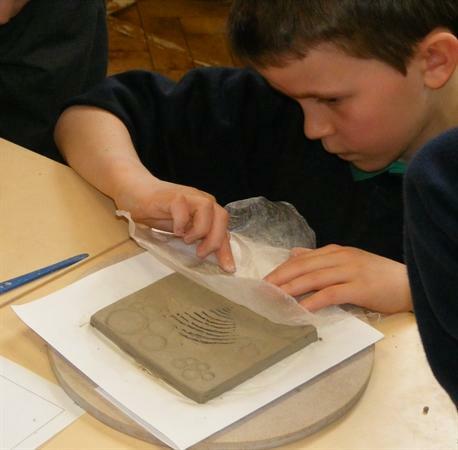 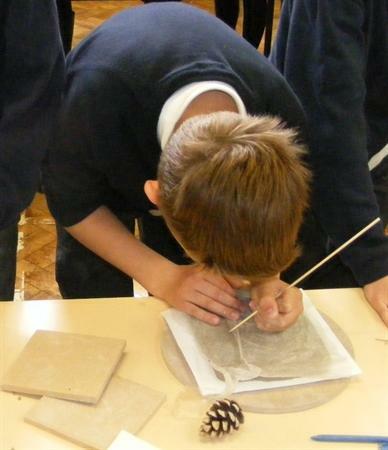 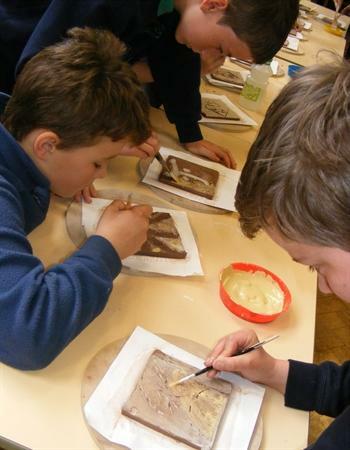 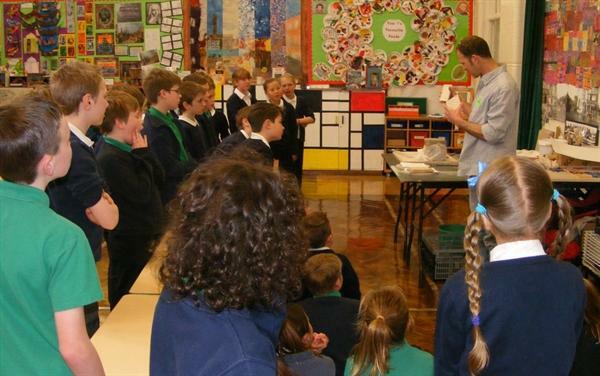 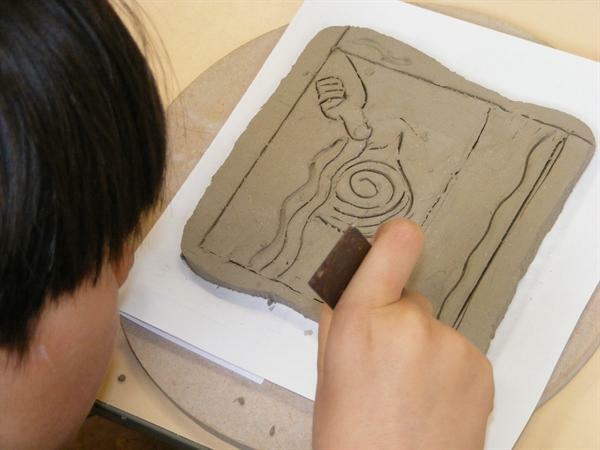 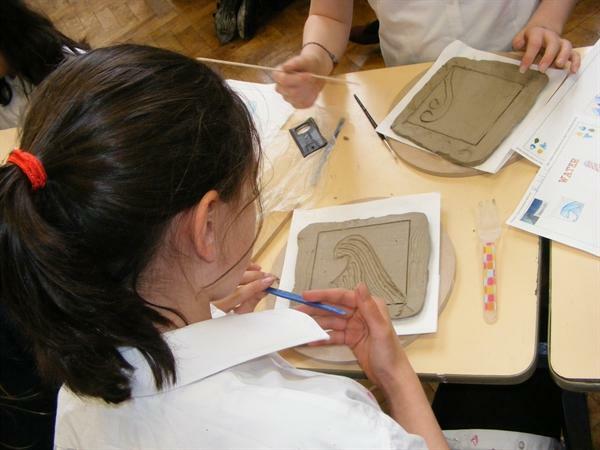 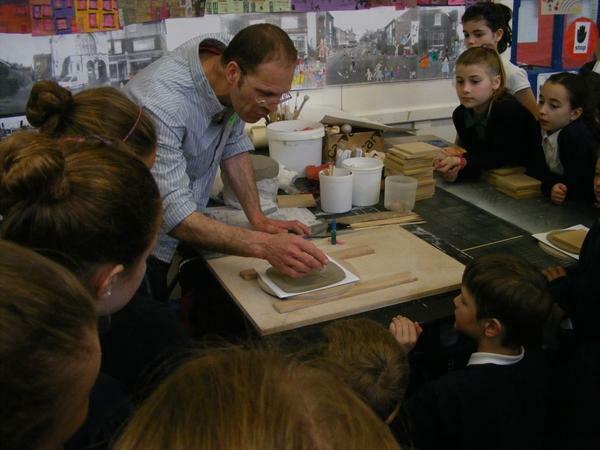 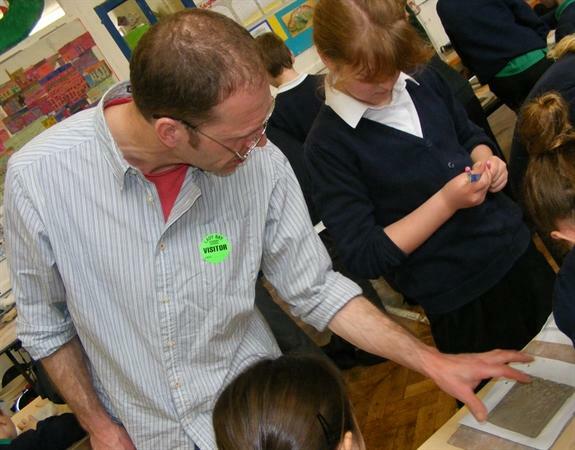 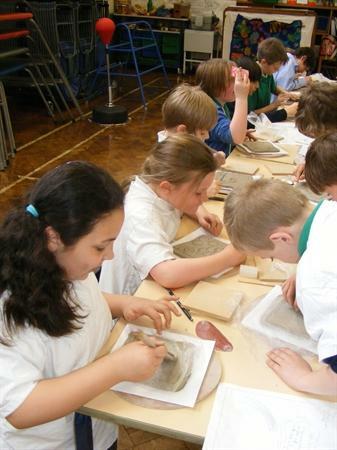 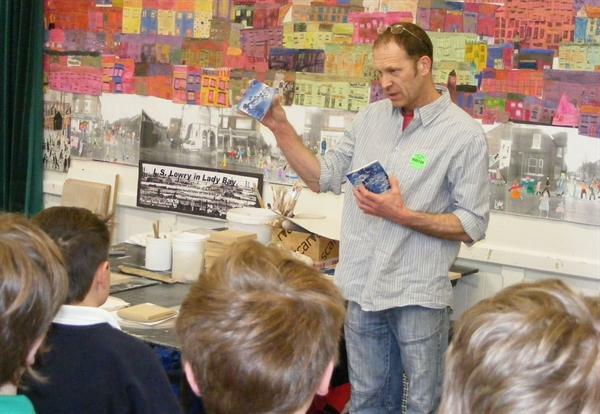 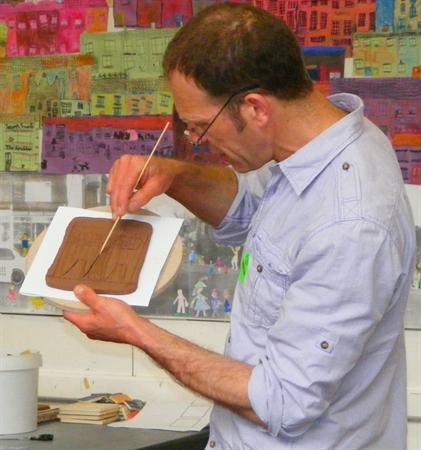 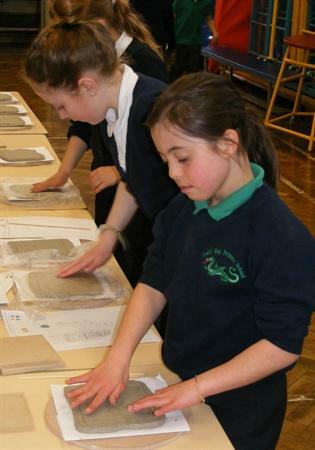 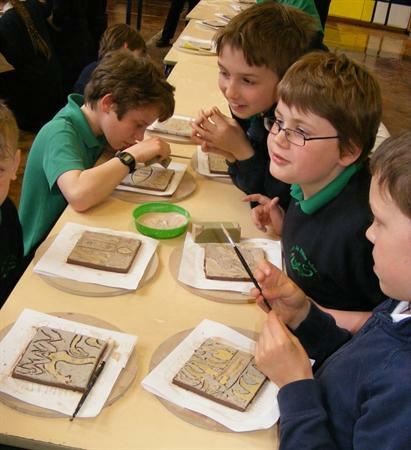 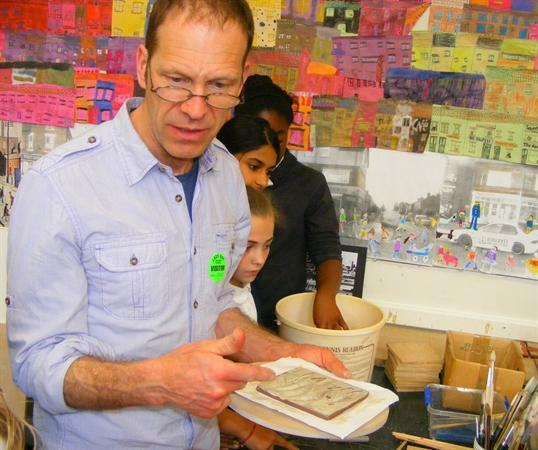 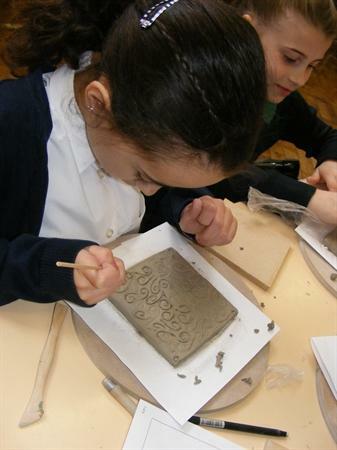 120 children from Years 6, 5 & 4 had a great time designing, making and decorating clay tiles with professional ceramicist Andy Mason during four workshops this week. 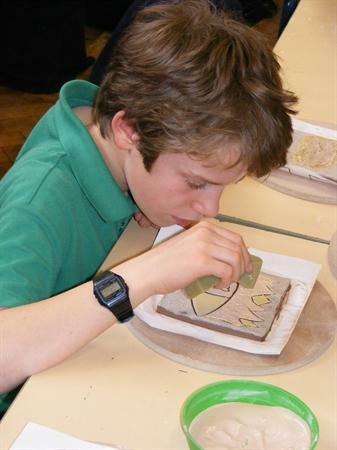 Once fired, the finished tiles will be made into decorative panels based on the four elements; air, water, earth and fire. 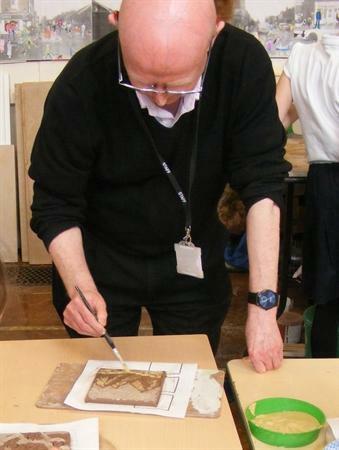 The panels will be exhibited as part of the Lady Bay Arts Festival (18th/19th May) & afterwards will be kept in school as a permanent piece of artwork.